Keep track of the websites you visit frequently by storing them as favorites in Internet Explorer. The favorites bar is a toolbar in Internet Explorer that you can also add your favorite websites you visit frequently on to make opening them faster and more convenient. You can export your favorites from Internet Explorer to a .htm file as a backup that you can use to import your favorites in Internet Explorer, Microsoft Edge, Firefox, Chrome, etc... web browsers. This tutorial will show you how to import or export your Internet Explorer favorites with a .htm or .html file in Windows 10. 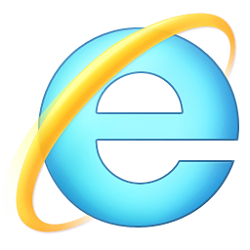 Your account's favorites for Internet Explorer are saved in the %UserProfile%\Favorites folder by default. You can copy and paste these. If you like, you could also rename the file extension to .html before clicking on Export.